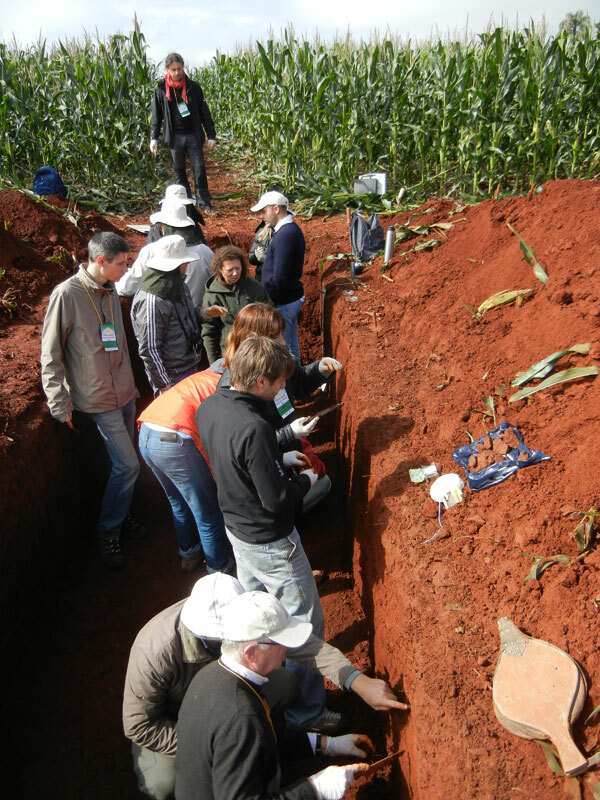 David McKenzie travelled to Maringa, Southern Brazil, in May 2014 and participated in a workshop organised by International Soil & Tillage Research Organisation (ISTRO): ‘Working Group F – Visual Soil Examination & Evaluation’. 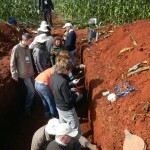 It allowed soil management experts from Europe, South America and Australia to compare and combine methodologies for the field assessment of soil structural condition. 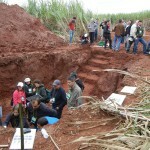 The comparisons were carried out on red clay soil derived from basalt under a variety of land-uses including sugarcane, corn, soybeans and remnants of the Atlantic Rainforest that once covered the region. 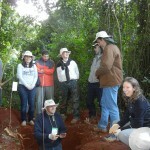 McKenzie, DC, Pulido Moncada, MA & Ball, BC 2015, Reduction of yield gaps and improvement of ecological function through local-to-global applications of visual soil assessment. In. Visual Soil Evaluation: Realising Potential Crop Production with Minimum Environmental Impact, eds. BC Ball, LJ Munkholm, CABI Publishing: Wallingford UK. Previous ‘Working Group F’ workshops were held in Peronne France (2005) and Flakkebjerg, Denmark (2011). 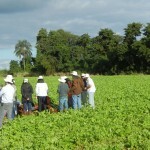 The Denmark meeting resulted in production of a special issue of ‘Soil & Tillage Research’ entitled ‘Applications of Visual Soil Evaluation’ (http://www.sciencedirect.com/science/journal/01671987/127). 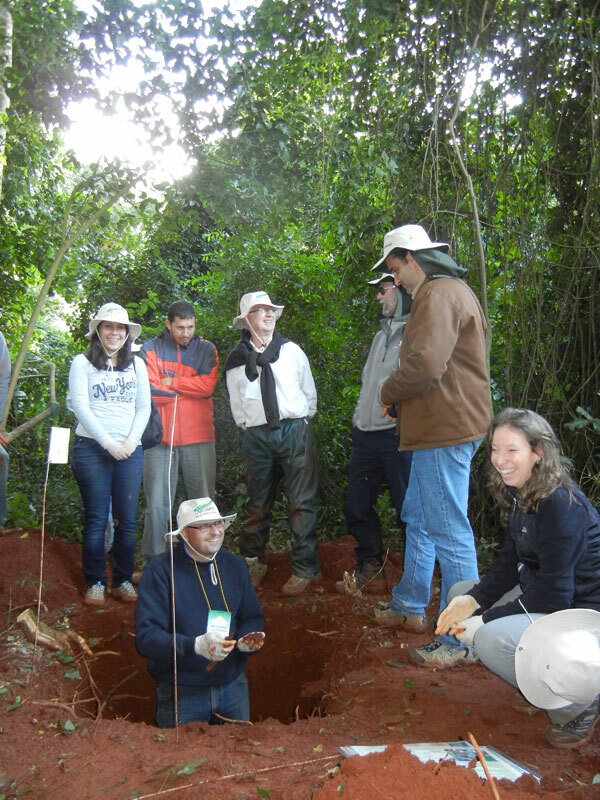 David has taken part in all of these meetings and has improved his field soil assessment procedures as a result of the valuable interactions with colleagues from a diverse range of backgrounds.